Jordan Mickey’s incredible second half willed Khimki past Buducnost on the road. 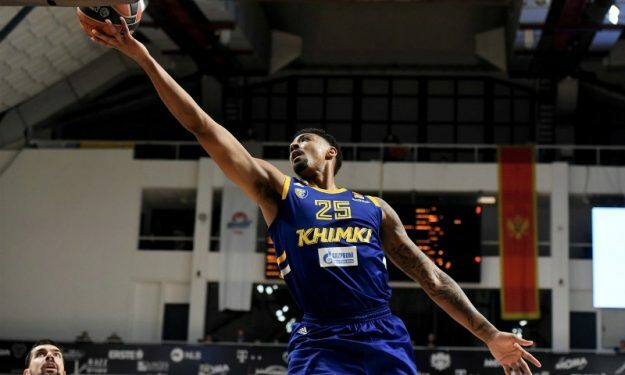 Khimki Moscow Region got a much-needed and tight win in Podgorica against Buducnost VOLI, and Jordan Mickey had a phenomenal night. The 24-year old is having a great year, but his performance on Thursday night was one of his best. It’s not only the fact that he scored 25 points and was one-point away from his career-high, but it’s also the fact that he was clutch down the stretch and efficient. Mickey, shot 7/9 from inside the arc, 2/3 from the three-point line, and 5/6 from the free-throw line, while also grabbing four rebounds, and handing out one assist. “I just wanted to go out and play hard. I didn’t have a great first half. I kind of put my team in a hole. Second half, I just wanted to come out, be aggressive and try to help us get the win,” he said after the final buzzer.